f(x) approaches infinity as x approaches infinity. 1 divided by infinity is 0. 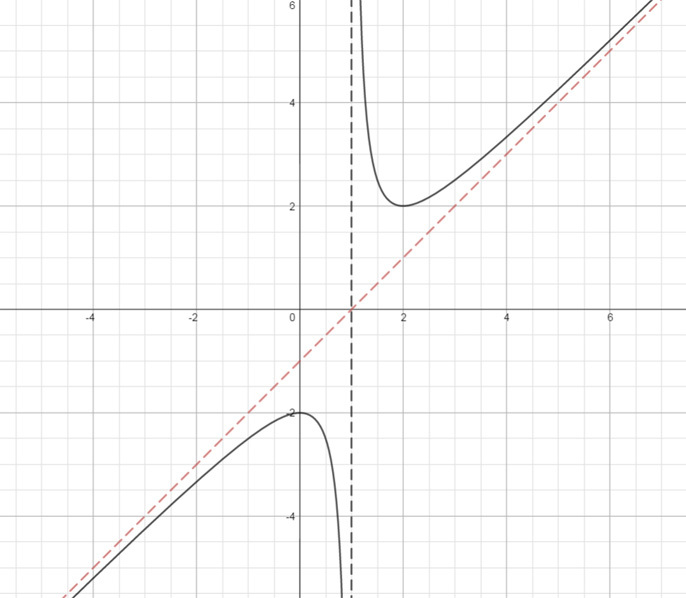 Hence oblique asymptote y = x-1 is transformed to y=2x. This method can be applied to any oblique asymptote.